How Children are Represented in North Carolina Accident Case Accident victims who have not yet reached the age of majority have a few options for pursuing and receiving compensation from an accident claim. Local news reports that an unexpected snowfall in the Charlotte area left residents unprepared. About an inch of snow covered the area overnight, surprising many and giving children an unexpected snow day. Some areas got a number of inches of accumulation by dawn. The snow also caused trouble on the roads, however. North Carolina officials warned motorists to stay off the roads and be careful when walking due to the slick and icy conditions. All roads east of I-77 were trouble areas, with east Charlotte and Mecklenburg County seeing a number of minor accidents during the morning hours. Other trouble highways included I-485, Highway 49, and Highway 74. Snow blowing across the road, black ice, and icy bridges caused the majority of problems and car accidents. The North Carolina Highway Patrol has already reported several weather-related accidents. Ice caused a multiple-car accident on I-85 near Little Rock Road. Although a truck and several cars were involved, no one was seriously injured. On I-77, a truck jackknifed due to snow of the roads. The Charlotte-Mecklenburg Police also handled a number of car accidents. They continue to be busy and are not sure of how many accidents they have handled in the last 12 hours. The North Carolina Department of Transportation told residents that drivers should not use the roads unless of an emergency in order to keep car crash numbers down and prevent injuries and fatalities. 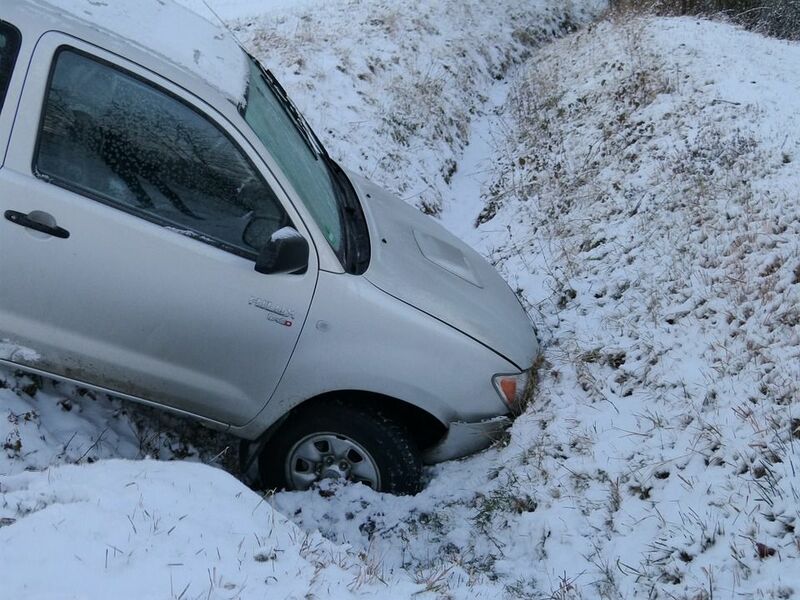 Since Tuesday evening, dozens of truck accidents and car wrecks have been reported across the state. However, the National Weather Service says that the snow will taper off and higher temperatures, paired with ample sunshine in the days to come, will melt the snow. Until then, snow removal and salting will continue throughout the day. If you go outside, be mindful of the snow and ice - not just on the roads. Pathways and walkways around homes and apartment buildings should be carefully cleared. Learn about negligence in slip-and-fall cases that involve snow.